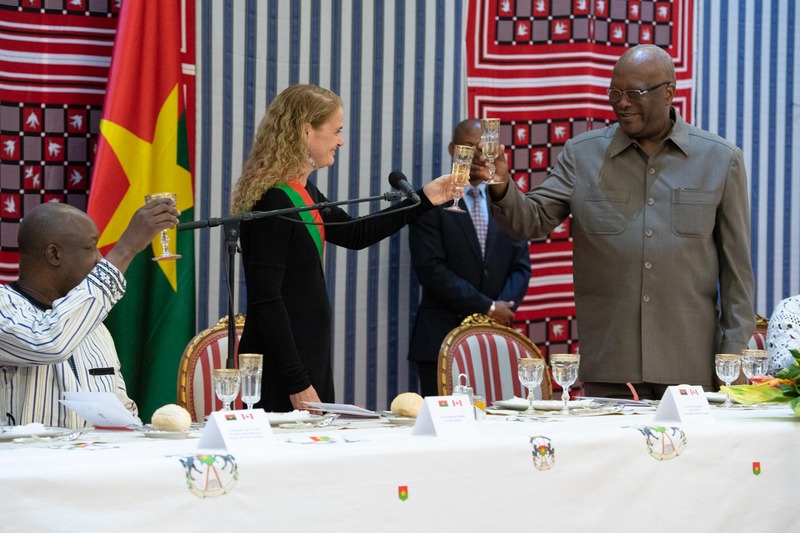 At the request of the Right Honourable Justin Trudeau, Prime Minister of Canada, the Governor General visited West Africa from October 23 to 30, 2018. 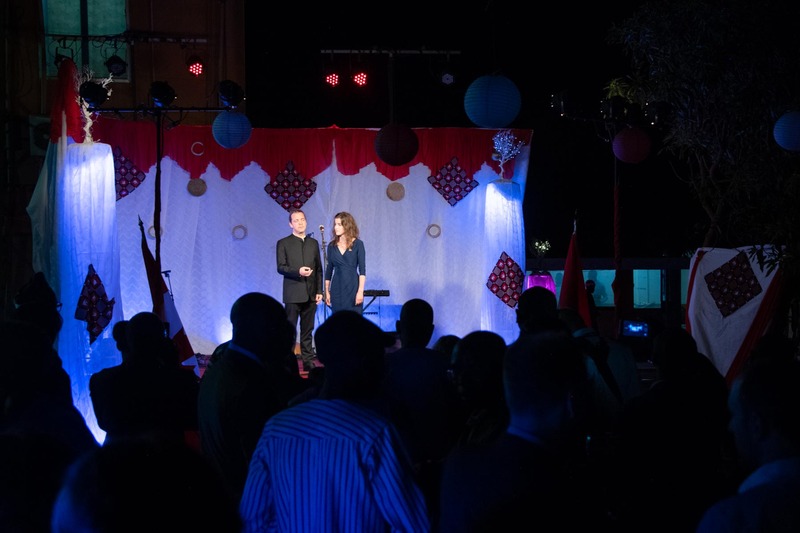 Her first stop was Burkina Faso, from October 23 to 26. 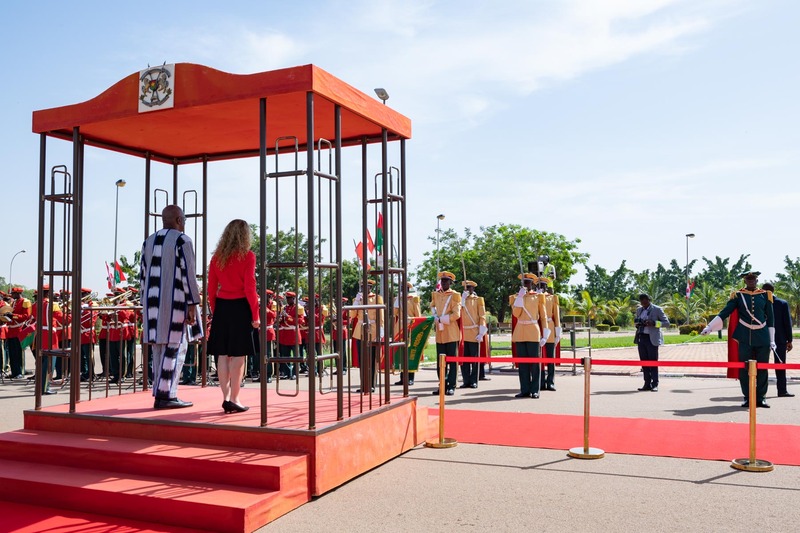 The Governor General was greeted in Ouagadougou by His Excellency Roch Marc Christian Kaboré, President of Burkina Faso, Mr. Edmond Wega, Ambassador of Canada to Burkina Faso, and representatives of the Burkinabè government. 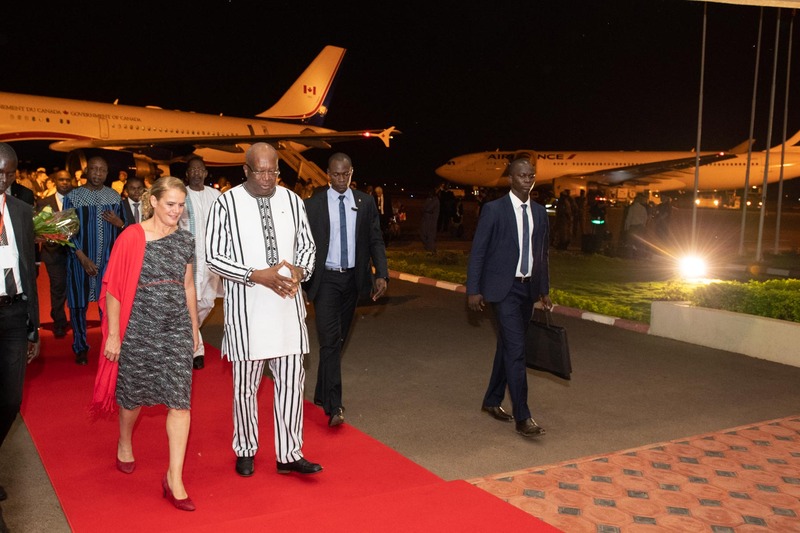 Upon arrival to Burkina Faso, the Governor General was greeted by His Excellency Roch Marc Christian Kaboré, President of Burkina Faso, at Ouagadougou International Airport on October 23, 2018. 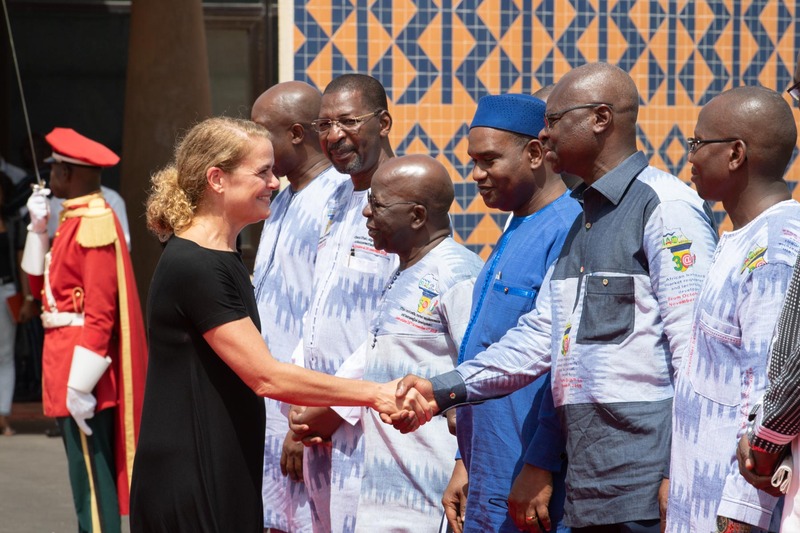 The following day, Her Excellency was officially welcomed during a ceremony at the Presidential Palace. 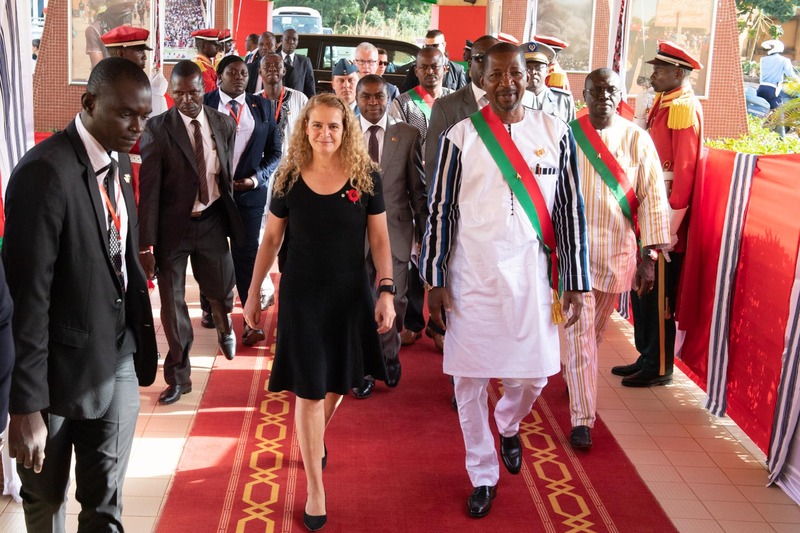 This is the first visit by a governor general to Burkina Faso. She received military honours and inspected the guard of honour. 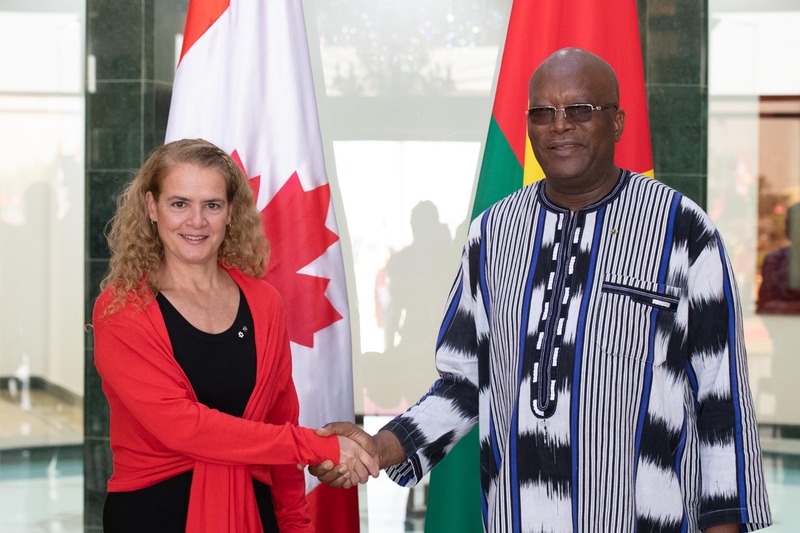 Following the ceremony, the Governor General met with with President Roch Marc Christian Kaboré to discuss bilateral relations between Canada and Burkina Faso. Some members of the Canadian delegation also attended the meeting. 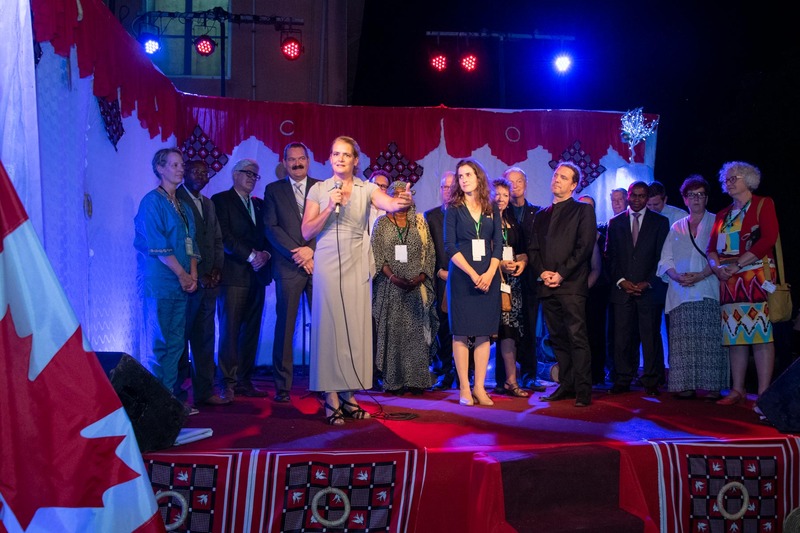 To strengthen the people-to-people ties and promote various aspects of Canada abroad, the Governor General is accompanied by parliamentarians and Canadian leaders from the fields of education, research, innovation, development, trade and arts. 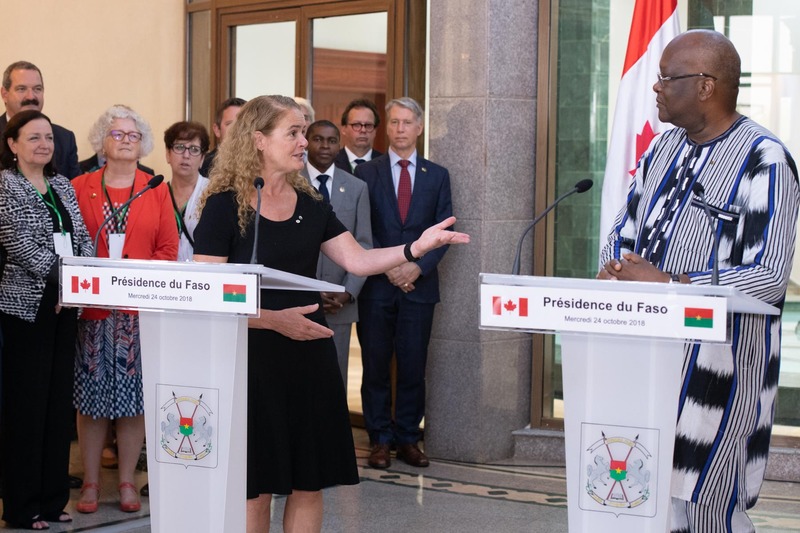 Following their meeting, the Governor General and the President of Burkina Faso delivered statements and answered questions from the media. Her Excellency laid a wreath at the marker put up in memory of the victims of terrorist attacks. 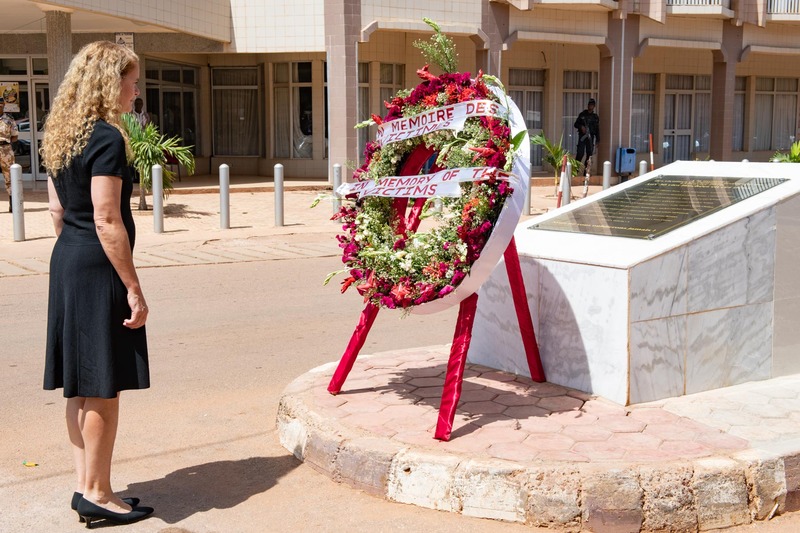 On January 15, 2016, hotels and restaurants in the Burkina’s capital came under terrorist attack, resulting in 30 deaths, including 6 Canadians, and more than 70 wounded. The capital has since had two other attacks: the first, in August 2017, that resulted in the deaths of 19 people, including 2 Canadians, and 22 wounded; the second, in March 2018, which had 8 victims and more than 80 wounded. 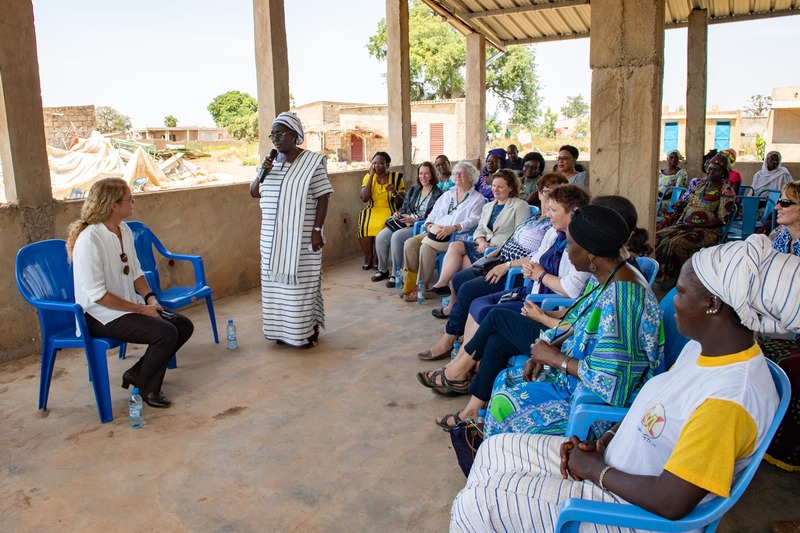 The Governor General and members of the Canadian delegation met with Canadian cooperants working in Burkina Faso to better understand the reality of those engaging in development assistance. Lili-Anna Pereša, C.Q., President and Executive Director of Centraide of Greater Montreal, participated in the discussion. In the afternoon, the Governor General met with His Excellency Alassane Bala Sakandé, Speaker of the National Assembly of Burkina Faso. The Governor General addressed the members of the National Assembly. The themes included education, inclusion, diversity, the importance of making room for youth and the impacts of climate change. 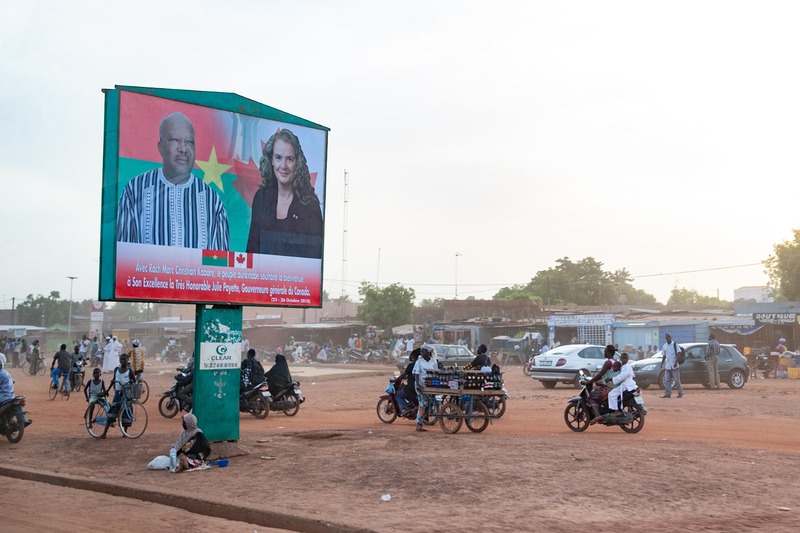 Signs around the city announced the Governor General’s visit in the capital city of Ouagadougou. In the evening, Her Excellency returned to the Presidential Palace to attend a State dinner held in her honour by President Kaboré. Both the Governor General and the President delivered brief remarks on this occasion. 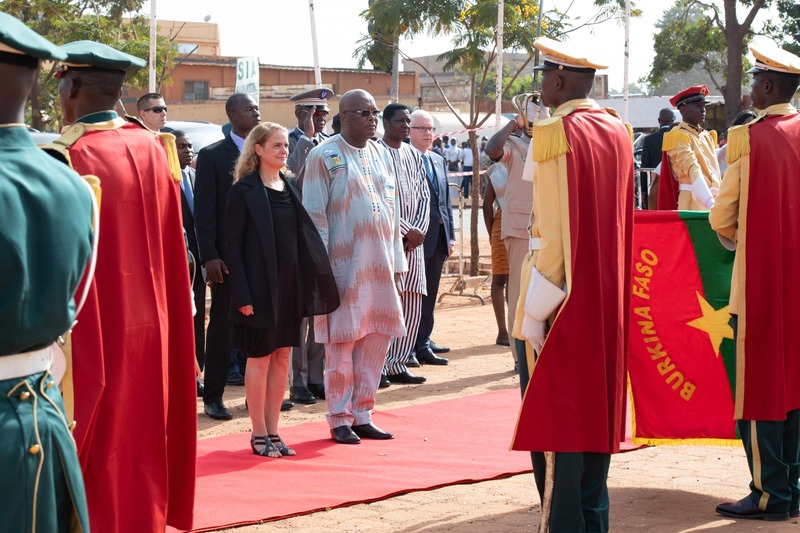 Her Excellency was officially welcomed during a ceremony where she received military honours and met with President Roch Marc Christian Kaboré. She addressed the members of the National Assembly. 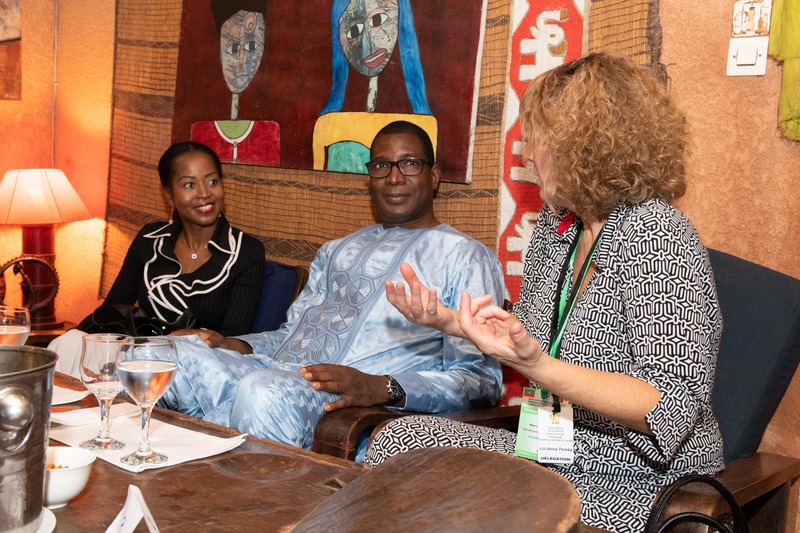 In the evening, a State dinner was held in her honour by President Kaboré. 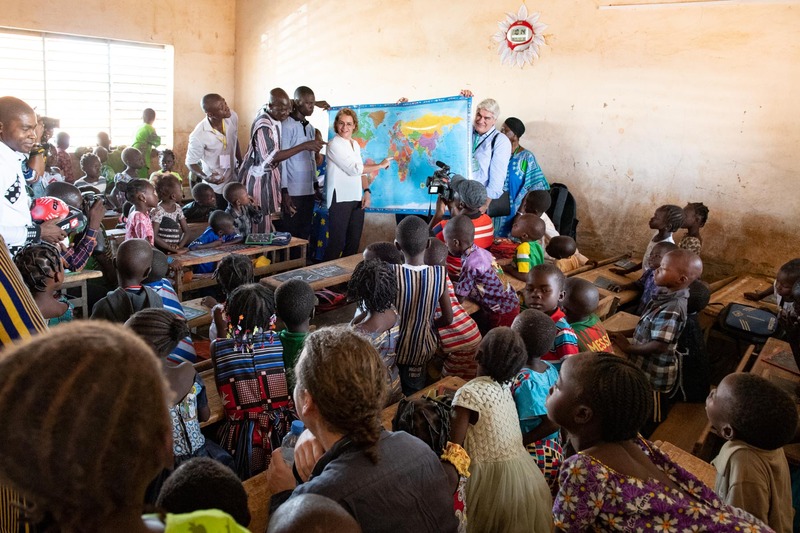 In the morning, the Governor General and the Canadian delegation visited an elementary school in the Koubri Department, on the outskirts of Ouagadougou. The Governor General and delegate member J. François Lalonde, Engineer and International Business Development Consultant, are seen here helping hold up the map of the world. 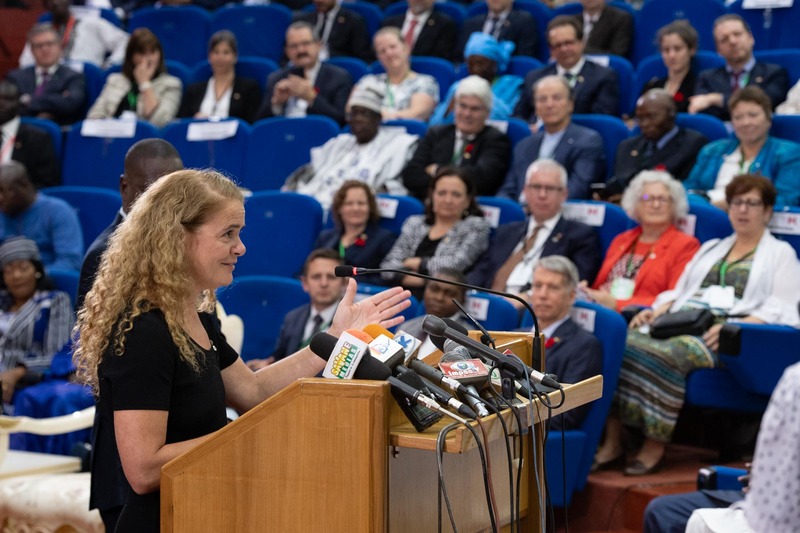 Accompanied by Canadian delegates, the Governor General then met with women who have experienced obstetric fistulas who, having been rejected by their community, have been taken in by the Fondation Rama. She is pictured here in company of delegate member Dr. Jan Christilaw, C.M., Special Advisor, Women’s Health, British Columbia Women’s Hospital and Clinical Professor, University of British Columbia. 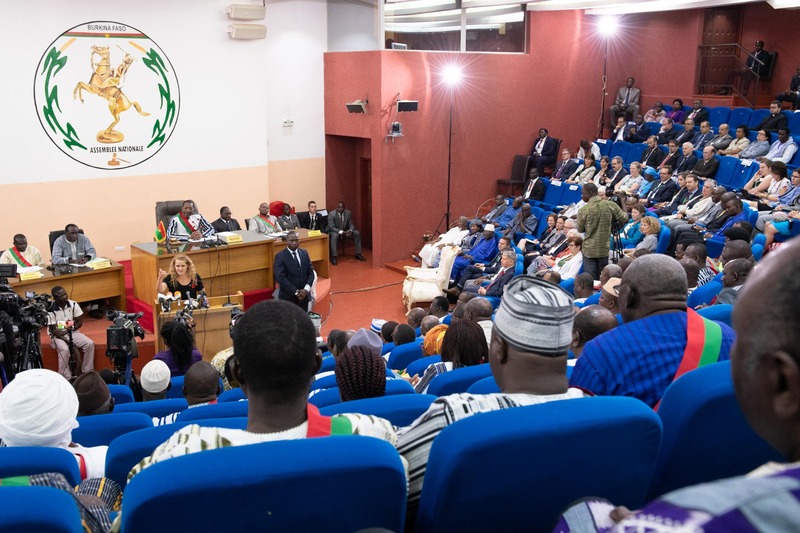 In the afternoon, Her Excellency and accompanying delegates spoke with students from the Lycée scientifique de Ouagadougou, which focuses on the sciences (mathematics, physics and chemistry, life and earth sciences). She talked about her career and the importance of pursuing science and technology. In the evening, the Governor General and delegates attended a Friends of Canada reception. 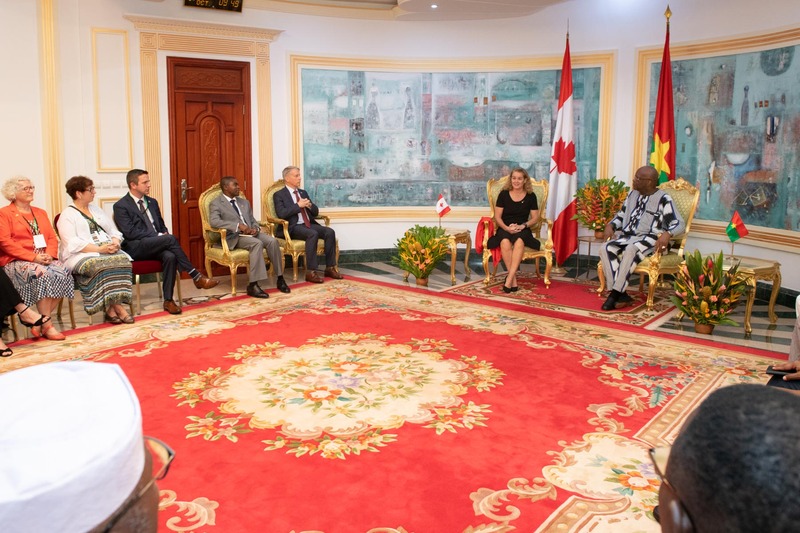 On this occasion, Her Excellency and the Canadian delegation met with individuals who have made continued and exceptional efforts in promoting and enhancing the Canada-Burkina Faso relationship. 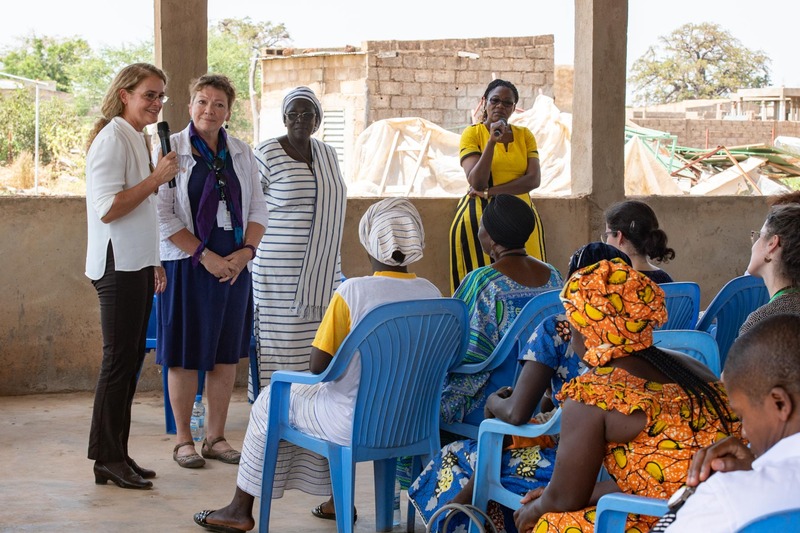 The Governor General and the Canadian delegation visited an elementary school in the Koubri Department, on the outskirts of Ouagadougou, and met with women who have experienced obstetric fistulas and have been taken in by the Fondation Rama. 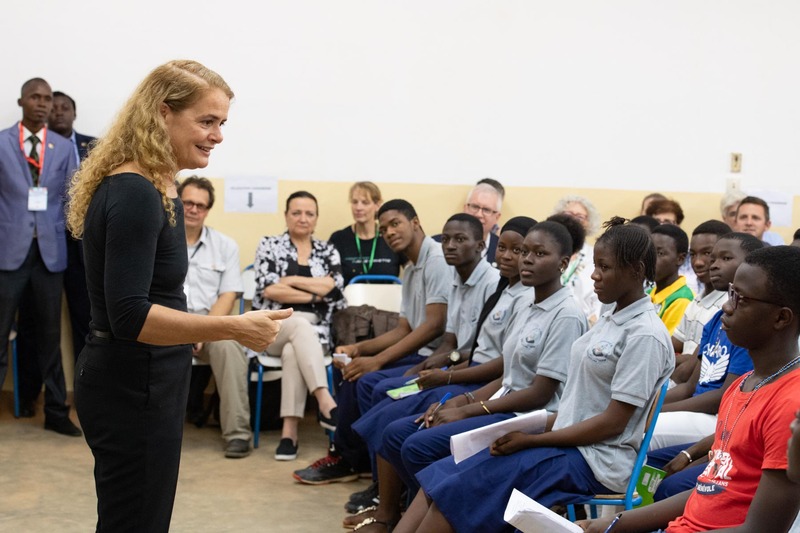 In the afternoon, Her Excellency spoke with students from a high school which focuses on sciences and visited the 2iE laboratories to speak with students conducting research on technologies for adapting to climate change. 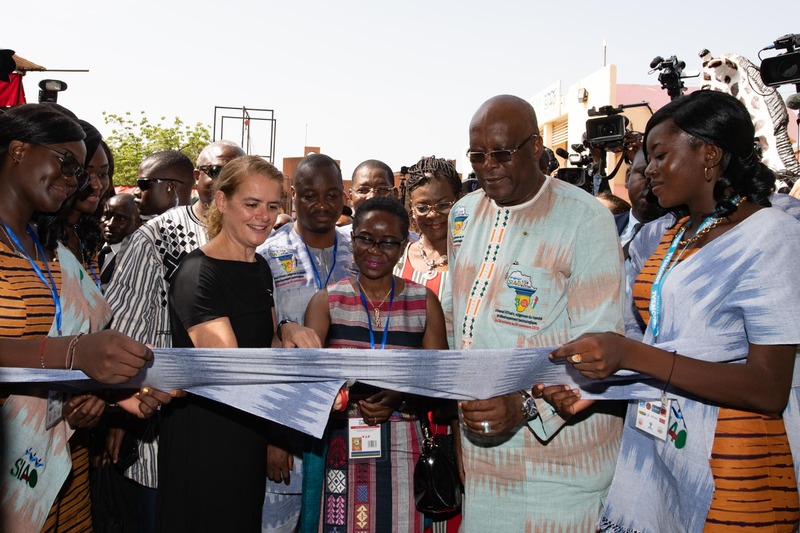 On the last day of her State visit to Burkina Faso, the Governor General and the Canadian delegation visited the Salon international de l’artisanat de Ouagadougou (SIAO). 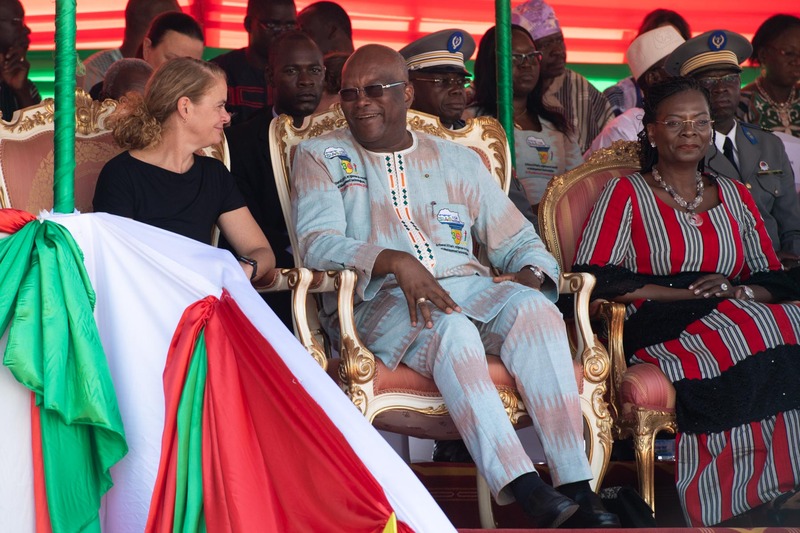 Upon arrival, Her Excellency was greated by His Excellency Roch Marc Christian Kaboré, President of the Faso. 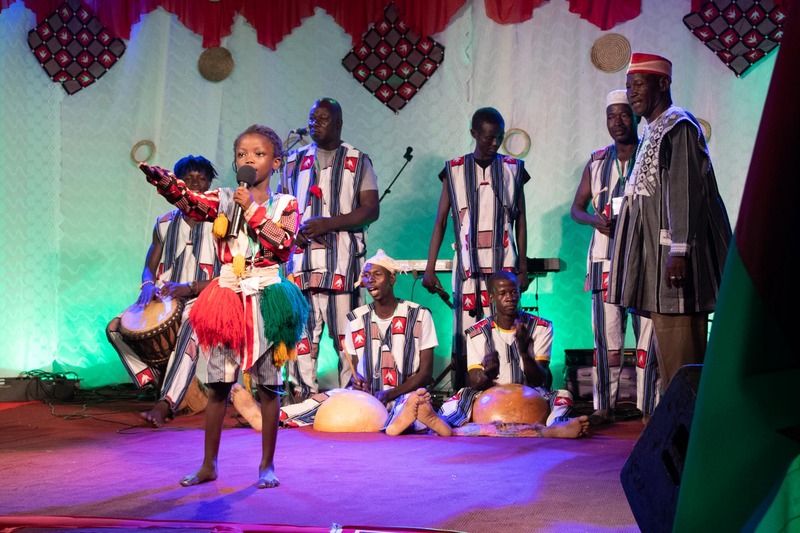 During the visit of the SIAO, African artists performed on stage. 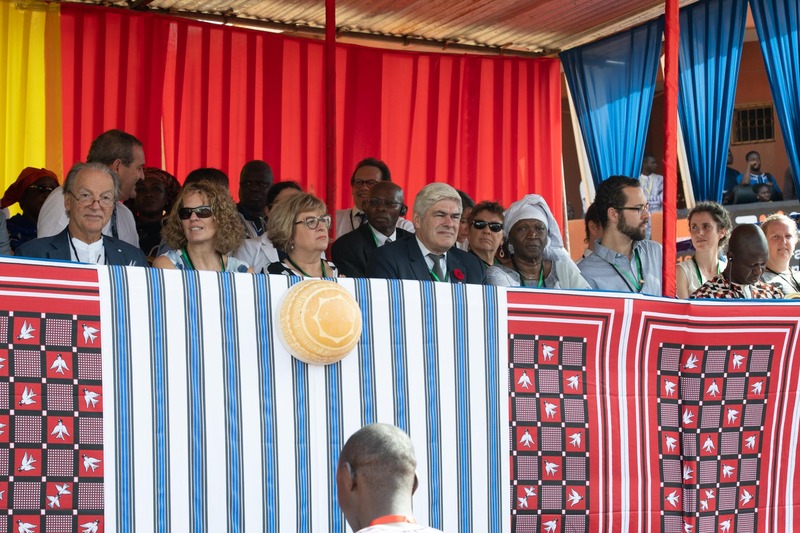 Canadian delegates watched the performances in the shade to protect themselves from the blazing sun. The Governor General and the President of Faso enjoyed the show on this beautiful sunny day. The Governor General, with the help of the President of Faso and other guests, cut the ribbon to officially open the SIAO. 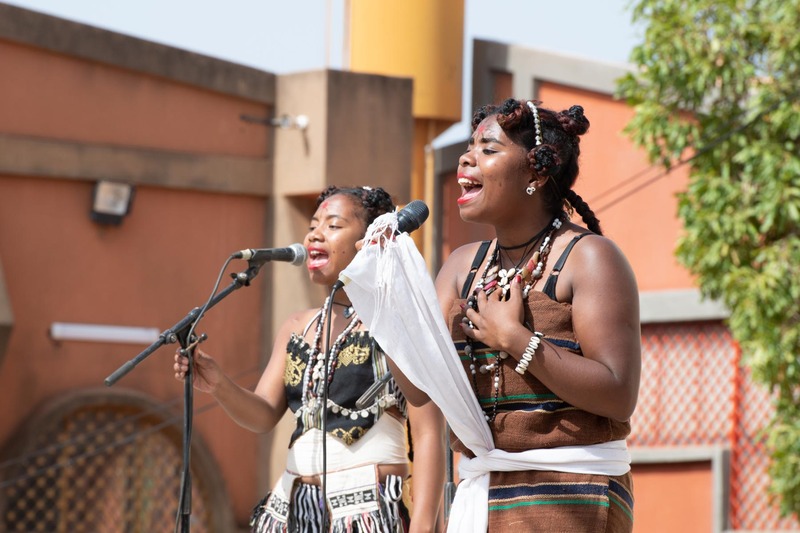 The SIAO is one of the largest fairs of its kind in Africa which features all manner of African arts and crafts. The featured country this year is Madagascar. The event, which brings together more than 3000 artists and artisans and draws 5000 professional visitors (collectors and exporters) and more than 100 000 tourists, is a blend of exhibits and cultural and artistic activities. 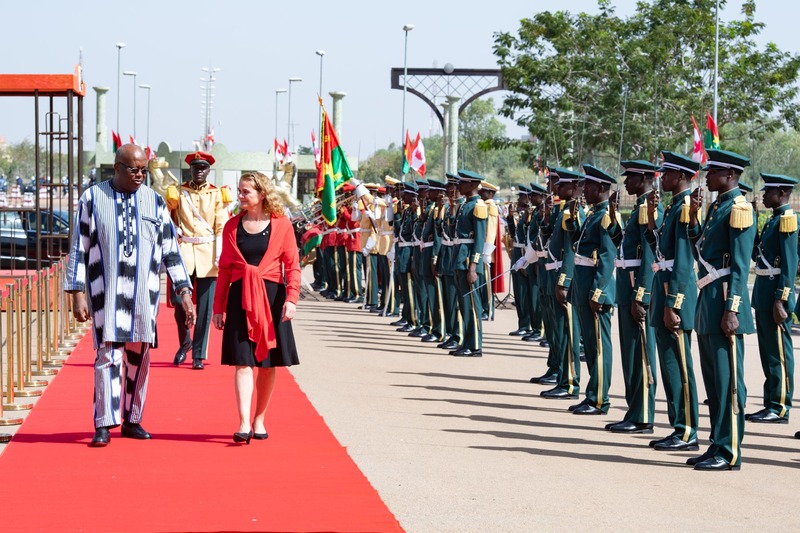 The President of Faso bid Her Excellency farewell as she left Burkina Faso to undertake a State visit to Côte d’Ivoire. 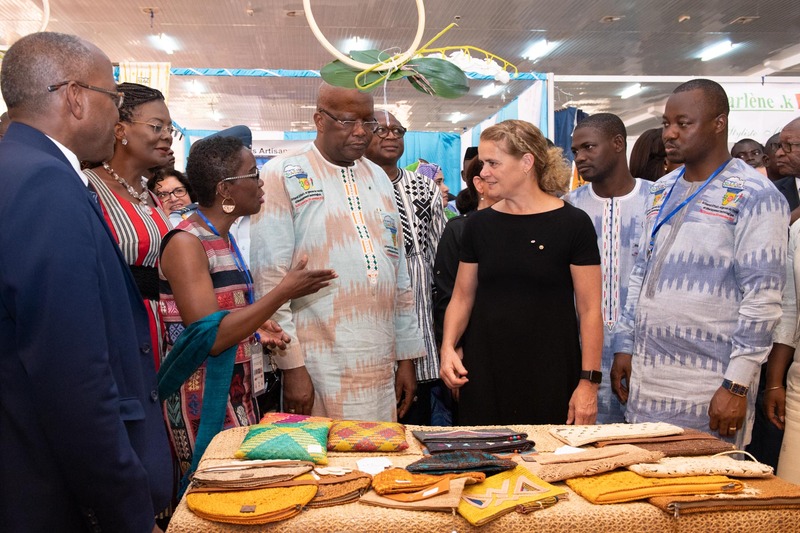 The Governor General and Canadian delegation visited the Salon international de l’artisanat de Ouagadougou.